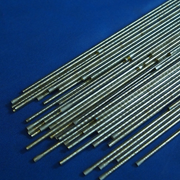 Type #1bare wire/rod has the highest hardness of the cobalt alloys and is used to elevate temperature wear applications. Machine with carbide tools or grinding. It bonds well with stainless and other weldable grades of steel.